The McMullin Design Group’s creative team has delighted our clients with award-winning interior concepts for 16 years. Our holistic design process balances livable and workable spaces with timeless design elements to create showcases that you will be proud to live in for years to come. Each project is a unique reflection of our clients’ desires. Whether you are looking for a color consultation for a small cottage or an extensive makeover for a grand estate, the team at MDG will manage the process of translating your vision from conceptual design to reality. 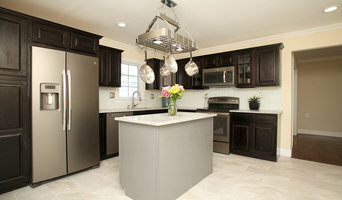 We are experts at coordinating both new construction and renovations projects. Our top-down process will guide you through every step of your project. From space planning and material specification, to kitchen and bath design, custom millwork, furnishings and window treatments; no detail will be overlooked. Our unique blend of project management skills and design prowess are engineered to allow you to focus on the outcome while we manage the day-to-day aspects of the project.